What is the Application Fee for this EIL Recruitment 2019? All Categories candidates have to apply online by paying ZERO application fee. EIL Recruitment department is inviting all candidates to apply without paying the application fee. 16th April 2019 Last Date to apply online. i) Those who have passed in their following educational qualification: “BE/ B. Tech/ B.Sc. (Engg. )” in Mechanical stream with at least 60% marks can apply. 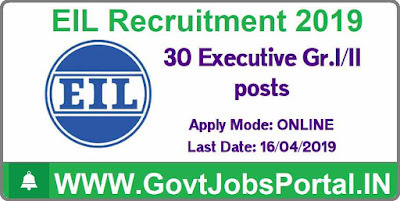 Must have age less than 37 Years for applying this EIL Recruitment. i) Applicants who have completed their BE/ B. Tech/ B.Sc. (Engg.) degree in Mechanical stream with minimum 60% marks. Applicants age must be less than 40 Years for applying this job profile. 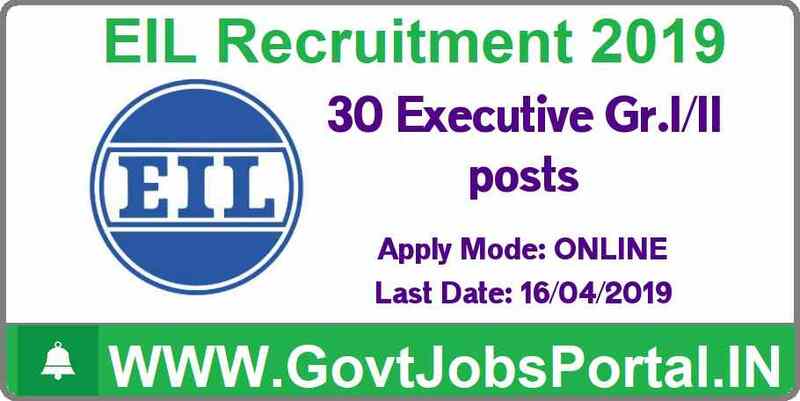 Process for Applying: Those who are interested in this EIL Recruitment 2019 have to apply online. The Link for applying will be remain active till 16th April 2019. So all the eligible candidates have to apply online before this date. Government jobs for mechanical engineers. Check IMPORTANT LINK section above for online application link to apply online. Selection Procedure: The selection of the candidates for these job profiles will be based on Interview round only.